Store Supply Warehouse offers Cobblestone Scarf Waterfalls for wall mount. 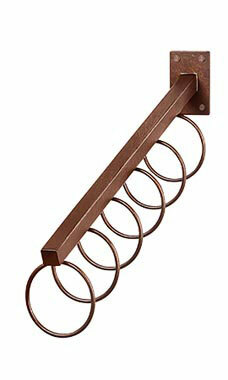 Featuring 6 circular hooks these faceouts will organize and display your scarves beautifully on your selling wall. Combine with our Cobblestone Fixtures and Racks for a complete boutique look in your store. Our Cobblestone line features a hand brushed cinnamon colored finish that will make your items stand out!